JOLO, SULU — For hundreds of years, Sulu has been held hostage by poverty, distraught and instability brought about by the seemingly infinite war between the Muslim rebel groups and the Armed Forces. It is one of the scariest places in the Philippines as deemed by many. But through the many years of suffering, the people of Sulu are now slowly seeing hope. This is what the the documentary film “Sulu” aims to show Filipinos and the rest of the world. 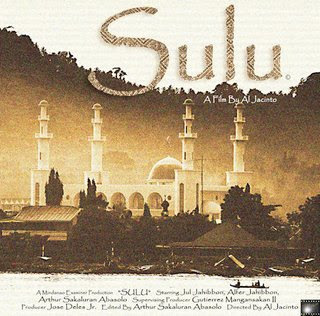 Directed by Al Jacinto, the film tells of young writer Arthur Sakaluran Abasalo who is born of a Muslim mother taking a trip to Sulu despite the dangers posed by Muslim rebels. When in there, Abasalo saw how changed the province was having more livelihood opportunities, increased efficiency in the health and education sectors, progressive tourism and above all, peace and order. In the film, Abasalo narrated how delighted he is to see this progress in Sulu. Talking to the locals and taking walks around town, he saw how the once conflict-stricken province is taking a turn for the better. “Masayang-masaya ako dahil nakita ko ang pag-unlad ng Sulu (I am very happy to see the progress of Sulu),” he says. Seeing this documentary is a breath of fresh air. I could honestly say I’m as happy as Abasalo. The people of Sulu have suffered enough and it’s good to know that they are finally stepping away from the shadows of war and terror. I hope this goes on especially today when we’ve just chosen our new leaders. Kudos to director Al Jacinto and to all the people behind this wonderful film. May this serve as an inspiration to Filipinos that change does come and that our dream of a better nation might just be within our reach.